Motion Education started out of Dynamite Gymnastics Center in 2012 in Rockville, MD. 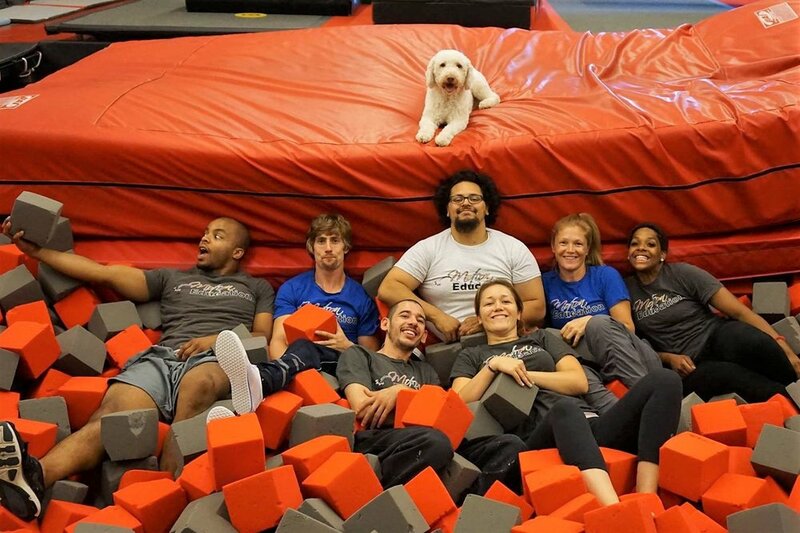 While Dynamite expanded to include Ninja Warrior, Parkour and Freerunning and Cheer, Motion Education grew to build programs in all four gyms, including one in Gaithersburg. MD. Each gym caters to both children on and off the autistic spectrum, as well as, children/adults with and without learning differences. By encouraging everyone to learn and grow together we are fostering a more open and dynamic teaching space. Over the years Motion has cultivated a unique environment for students of all ages and learning differences to come grow with us in a safe and engaging environment. Teachers are hand selected to work with each individual child/adult on their specific goals. Plans and a personalized curriculum are created for each student to grow at their own paces while pushing them to feel accomplished and challenged. Motion Education is always expanding. In the future we hope to help more people with learning differences find athletic outlets, to be more active and empowered to do more.